Was 6th Street ever studied for two way cycle track? Lots of space and few curb cuts. 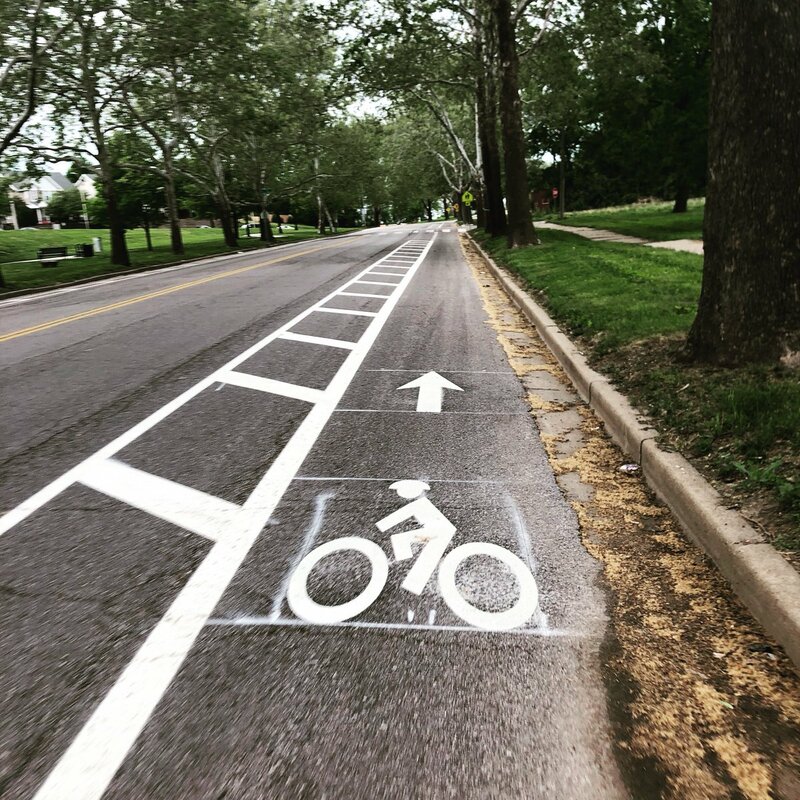 Armour bike lanes are being installed starting today. As was said elsewhere, I'm impressed the city didn't use part of the gutter for the bike lane--a mistake made in some other towns. These look great where they are placed, but they stop in the middle of W. Pennway closing in on the Aguirre Center (presumably to allow for parking). The annoying part about Beardsley (the continuation of W. Pennway through to the River Market, is that the bike lane is a glass and trash filled section of the road that bikes will almost never ride in, and some of the sections are just bikes printed on the middle of the road. It would be nice to have a bit more consistency, but this is a great start from the nothing we had before. Yeah, it's a chicken and egg problem running into the 80-20 rule. I expect that as there's better lanes added to more of the city that bike system demand will increase, and people will expect better when they do. One good example is swift north of 23rd. It has sharrows and ~15 feet of pavement. Once the armour lanes go in the demand for improvements on it should increase. Best part about that photo is the street is so wide, people treated it as two lanes and passed each other dangerously. If nothing else, it will increase neighborhood safety because of that. They should also get rid of the double yellow line in the center. I don't have any evidence, but I feel that that causes people to drive faster. State Line Road is a good example of that. Excited for level boarding and ticketing machines - the rendering looks great! 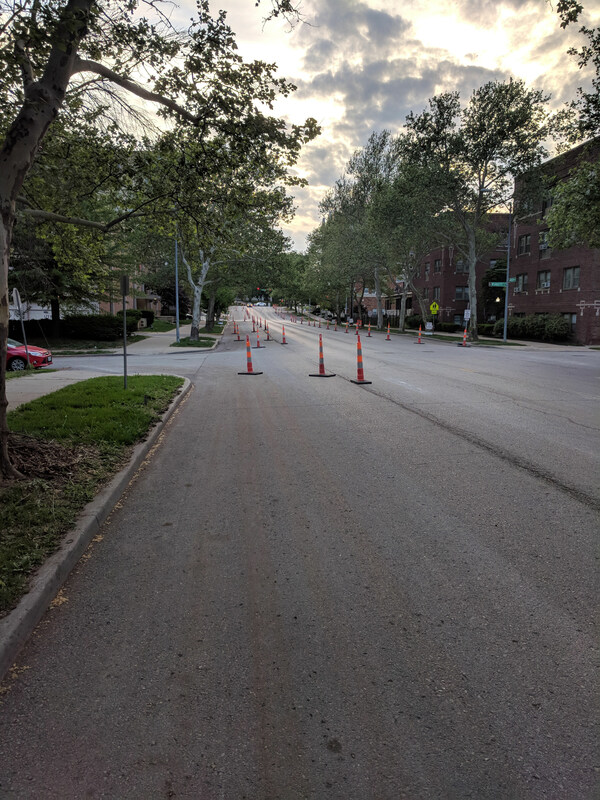 My understanding is that this is stealthily operating as a proof of concept for future fully protected lanes or cycle track on Grand. Looking forward to this but I am a little surprised at the timeline for installation. I would have guessed it would be complete this summer. Its interesting that they are investing in the Main Max stops, considering that it will require some reconfiguration after the streetcar is extended. Also, did anyone notice the ticket vending machines?? That's a pretty big deal, I'm surprised is was't mentioned in the article. DaveKCMO wrote: Not really that stealth. Haha, fair. But to the casual observer! I thought PIAC approved funds for grand were this year? KCPowercat wrote: I thought PIAC approved funds for grand were this year? I think those are for additional planning--maybe for the 20th to Crown Center leg? I already saw a car in the bike lane yesterday- they were loading something up in their car. The parking spaces aren't fully painted though- maybe with the buffer, cars will do a better job of respecting the bike lanes.